Love it!! My only suggestion is if you’re going for a PPV those tires need to be smaller. 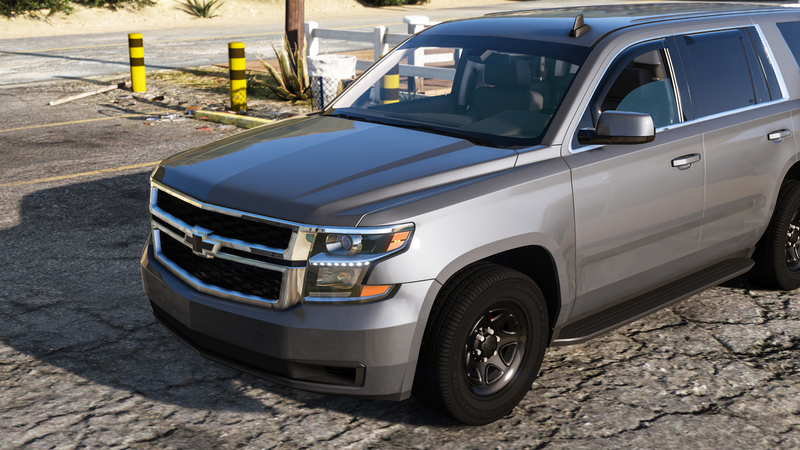 The Tahoe PPV compared to its civilian counterpart sits lower and has smaller tires for handling. On the 15+ the tires are nearly the same size on the PPV and the SSV. The only way you could really tell is by measuring them. The PPV uses a 265/60/17 and the SSV uses a 265/70/17. The PPV tire is 10% shorter than the SSV. The SSV uses the same size tire as the civilian model. They look smaller because the Eagle RSA is such a smooth tire. If you compare that to a slightly bigger Wrangler off road tire the Wrangler will naturally look bigger because of the aggressive tread.